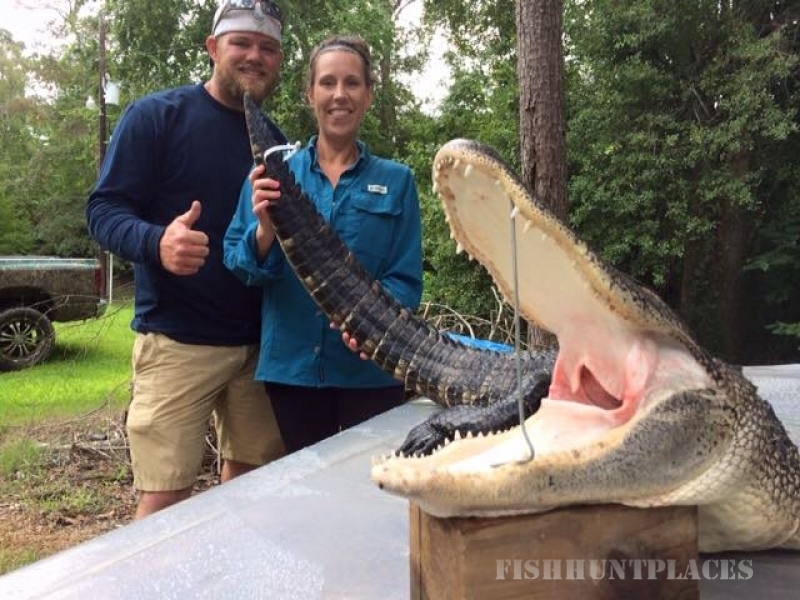 Guided Ventures in Lake Charles, Louisiana, provides guided alligator hunting trips and trophy hunting parties along the Bayou River and swamps. With more than 35 years of hunting and guided hunting experience, we are some of the most knowledgeable outdoorsmen you will find. Hosting people from all over the world, we provide all the accommodations and guidance you want in a hunting trip. 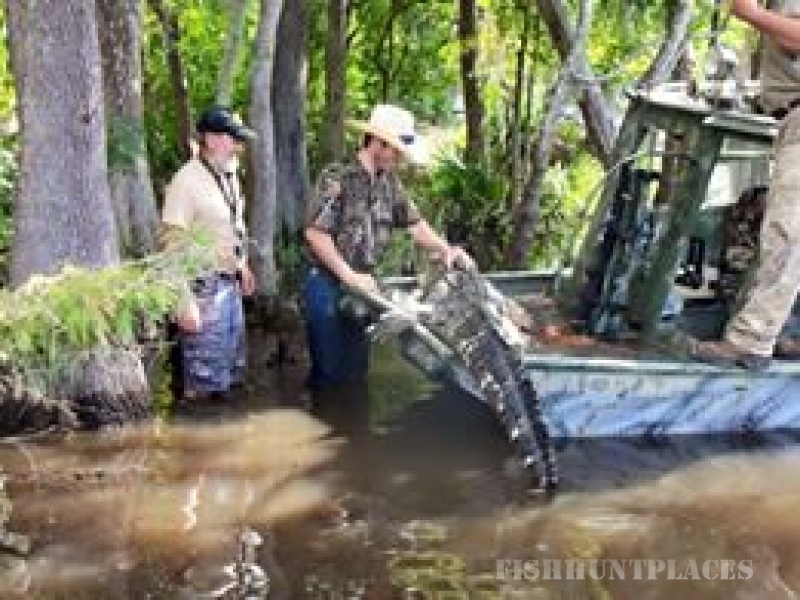 Whether you are new to hunting or seasoned vets looking to try your hand in the swamp, we will make the trip memorable. 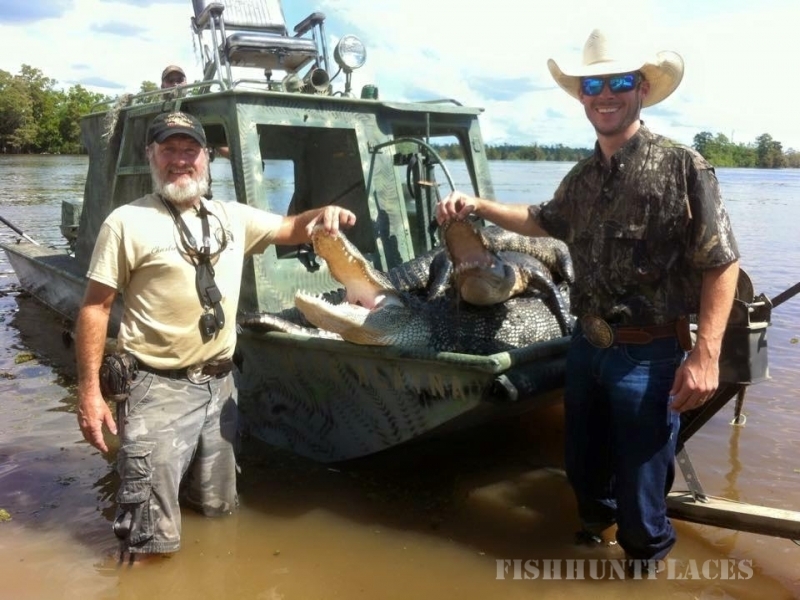 If you are you know someone whom wants to try there hand at alligator hunting, a limited season is available in Louisiana. 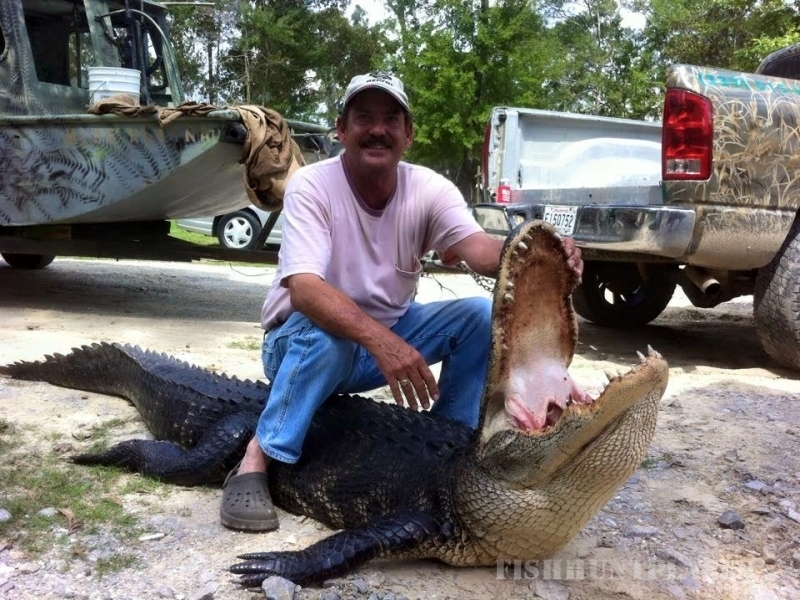 Alligator hunting is permitted only during September. The Department of Wildlife and Fisheries sets the dates, which might vary slightly from year to year. Most guides conduct hunting trips during the first two weeks of the month. 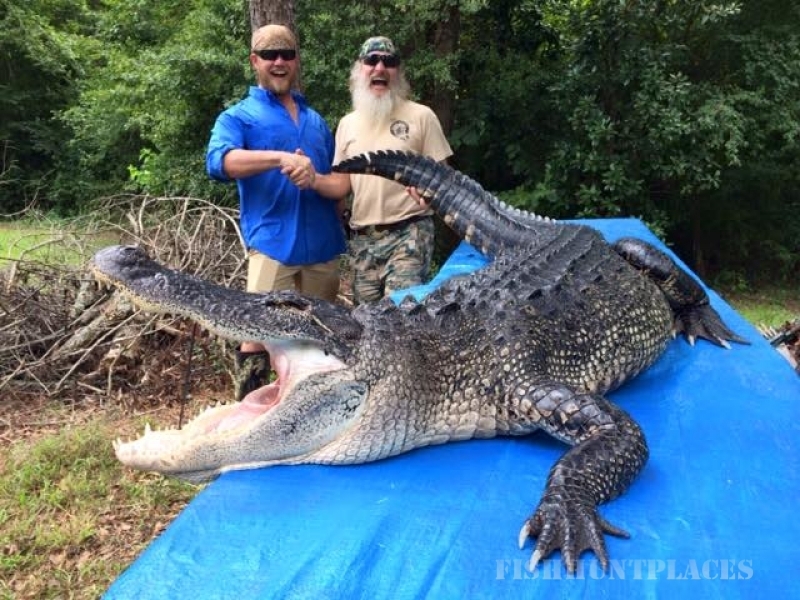 During the season, hunters harvest between 28,000 and 35,000 alligators. The American alligator is the largest reptile in North America and Louisiana has the highest alligator population in the United States. 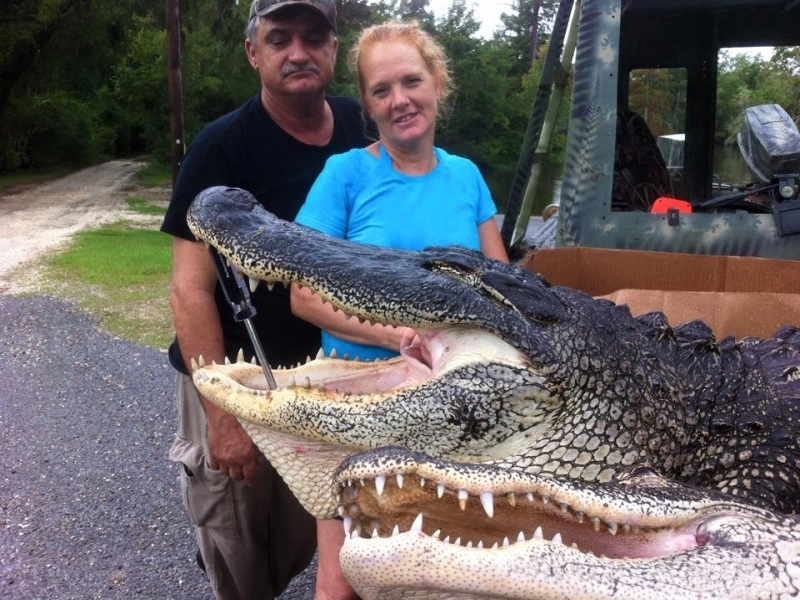 The creatures live primarily in Louisiana's coastal bayous and marshes, living on small fish, frogs, crawfish, snakes, birds, beavers and even deer. 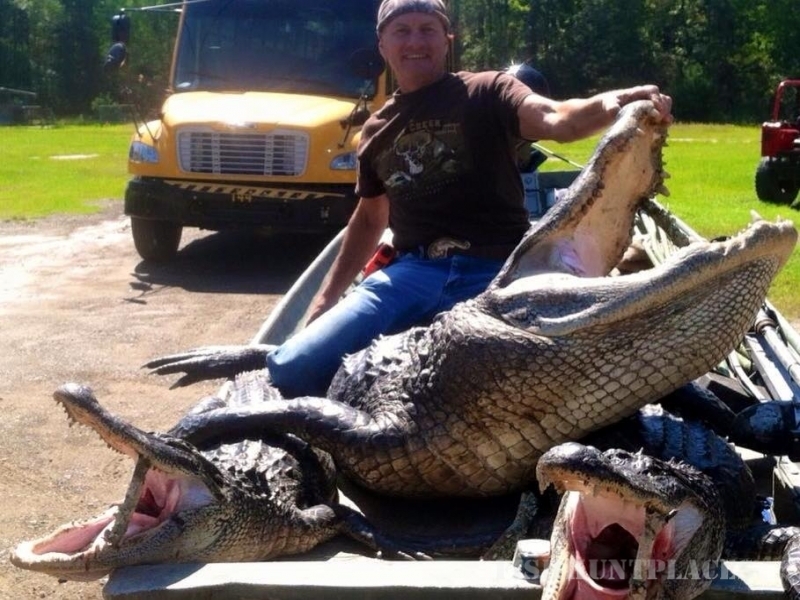 Hunting of these prehistoric animals was banned by the federal government from 1962 to 1971 when alligators were placed on the endangered list due to over-hunting. Hunting was gradually reopened and is permitted now under certain guidelines.